Special clearance price, limited to on hand quantities, sold 1st come 1st serve, sorry no layaway on this item. 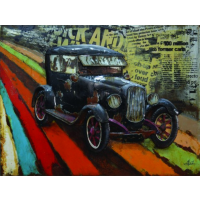 Yosemite Home Decor introduces a piece of metal artwork depicting a vintage black car set against a colorful rainbow background. The top right hand portion of the piece of artwork has different writing for added charm. 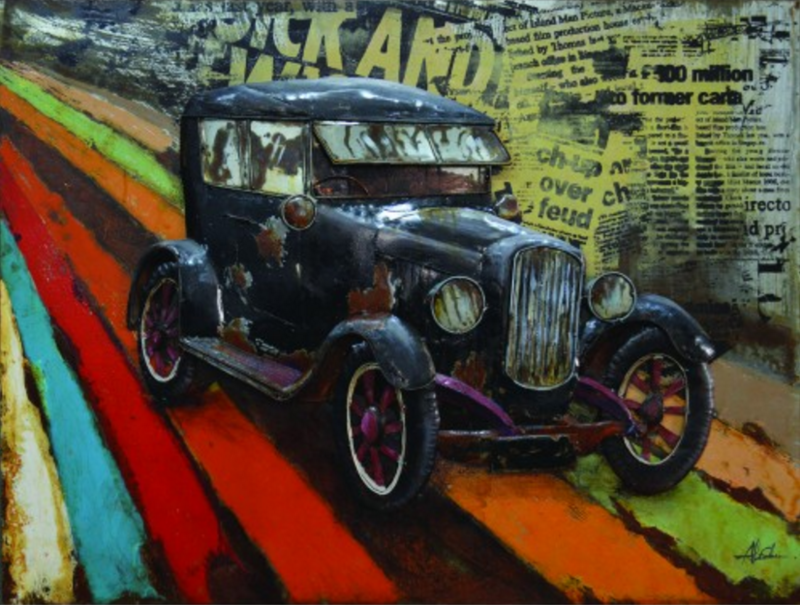 The rough textures and mixed mediums bring this piece of artwork to life. Place this quirky piece of metal artwork in any room of the home.